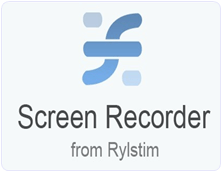 Whenever we want to record our desktop screen we all need to use best screen recorder. But we face many problem while searching best and easy screen recording software. Just because some of then are paid and rest other provide very less features. So its not easy to find any best software which should be also free to use and having all the best quality features. Sometimes we just want to make short video tutorial in which want to record all the steps. These type software mostly used by users who want to share information online on YouTube like media. Today here we are going to list out some of the best screen recording software for PC. So if you don’t have any kind free software for video making then must check out all the below listed software which are free to use and also having too many important features. List Of Best Screen Recording Software For PC. #6 Tiny Take Screen Recorder. #9 DVDVideoSoft Free Screen Video Recorder. Screencast-o-Matic is popular software for recording screen. 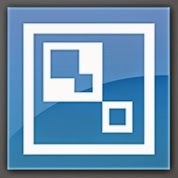 I like Screencast-o-Matic just because of there amazing features and Video quality. 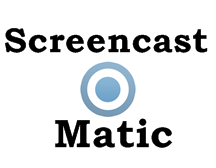 Screencast-o-Matic is available in both version Freeware and Paid. 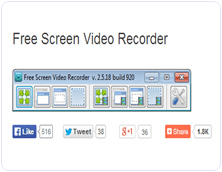 Screencast-o-Matic freeware version having some limited access in which you can record upto 15 min video. So we can record videos along webcam also directly publish HD video on YouTube. But the only problem is Watermark in Freeware version. In Screencast-o-Matic you can edit video at any frame of second means you cut and add new seen at any frame of second. The overall performance of Screencast-o-Matic is good as compare to others. CamStudio is another free screen recording software for Windows. CamStudio is light waited and simple software to start recording instantly. It is able to record all the screen activities and audio on computer. Camstudio is able to create Video file with AVI format and also turn those AVI into Streaming Flash Videos (SWFs). It is best software for creating short clips and video tutorials. So if want to try Camstudio then download it directly from Official Website of CamStudio. EzVid is another best and famous screen recording software. EzVid provides best video quality in its freeware version. It is the Coolest screen recorder because of its cutting-edge effects and features. Which includes video recording, Facecam, voice synthesis, screen drawing, speed control these are some the features. All these make it best making videos which entertain, inform and enchant your viewers. In EzVid you can direct upload your video on YouTube just by single click. Since released in 2012 EzVid has been downloaded around millions of times and used to upload videos on YouTube. So if you want to try EzVid download it from official site. BB Flashback express is free and useful software for screen recorder and also webcam activities. It has a clean interface and easy to use which help to create and uploading video easily and instantly. BB express has fine screen recorder compact and high quality video tutorials. After recording video with BB it save files in FBR file format. Which you further and convert into AVI format for sharing and uploading. BB express provide free functioning for 30 days . After that you need to create a new account and register with them to continue using its services. Camtasia is most expensive video recording software in market. Camtasia is best and most popular. I just list out this software because of its popularity and features. The above 4 listed software are free to use but Camtasia is only paid and best software. Camtasia is best for screen recording and video editing software published by TechSmith. In Camtasia there are huge number features available for best video creation which you can upload and publish on YouTube and on other network. 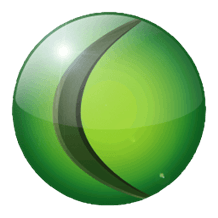 To download Camtasia visit official site of TechSmith for latest versions. 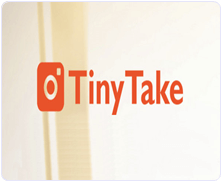 Tiny Take is one of the best screen capture and Video Recording software for Windows and MAC. It is developed by MangoApps and it is available for free to download. We easily capture pictures and videos of computer screen and easily share with our friends. It can Capture a video up to 120 minutes of our computer screen. It also provide zoom in and out features and we can easily capture video using web-cam.We can easily store our screen shot to cloud and share link. 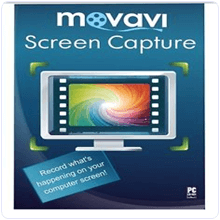 Movavi is another Best Software in the list of Best screen Recording softwares for PC. It is a paid software for PC. It is available for a cost of 29.95 USD. Movavi provides easy to use interface with attractive graphics. It is a light Weight Tool which can capture everything on our screen in high quality video quality. We can easily Export our screen cast video to any desired format. We can save our video at a speed of 60 frames per seconds and set lower speed rate to save our disk space. It is also a good software as an alternative to Screen Software for Windows PC. It is freely available for free to download. We can easily Record anything on our Computer screen with just few clicks. We can easily set screen resolution, Mouse clicking events, frame rates and browse the location for saving our videos etc. It is a light weight tool with easy to use interface. It can not record sound from external input device like microphone. It is another Best Software in the list of Best Screen Video Recording Software for PC. It is compatible with all version of Windows. If you are looking for a free video recording software with simple features then this is best choice for you. We can easily record our screen with sound on the go. It provide our screen recording in AVI format. We can easily highlight our cursor with this tool. We can also capture our screen picture in jpeg, png, bmp, tga etc. 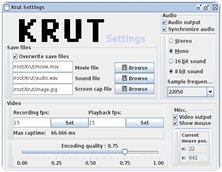 Krut is another best screen recording Software which is available for Free. It is written in java so it is platform independent. It has a small and easy to use interface. Krut can record our screen video easily. We can easily set a timer for our recording. we can also preview our on going screen recording. We can also highlight our mouse during recording and hide. It provide recording in two different frame record. These are best screen recording software for PC which we find useful. So just try yourself and decide which is best for you. You may leave a comment below which you think is best.